Great Buddha Statue is 80 ft statue of Lord Buddha sitting in 'Dhyana' position is located in Daijokyo Buddhist Temple in Gaya. 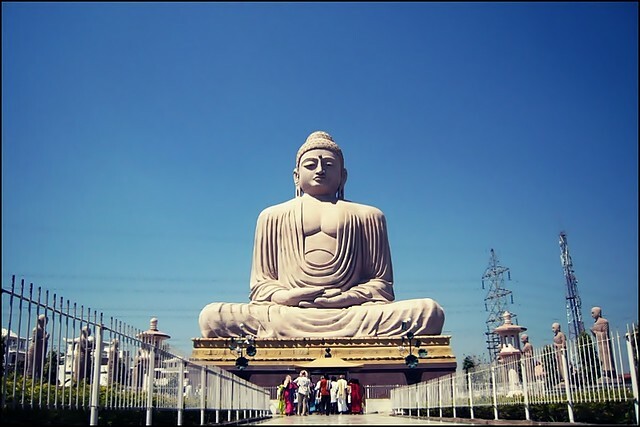 It is one of the popular places to visit in the Buddhist city of Gaya. The statue, built with red granite and sandstone, was completed after seven years of construction and was consecrated in 1989 by the 14th Dalai Lama. The Mahabodhi temple is located within 1 km distance of the statue.